Up to 250,000 fans are expected to descend upon North Yorkshire for the championships in September. North Yorkshire Police will implement a leave restriction for officers in a bid to maximise numbers and resources for the UCI Road World Championships, with the event set to attract hundreds of thousands of onlookers to the district in September. 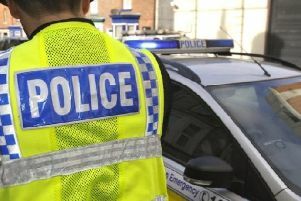 “Over the last eighteen months North Yorkshire Police, other police forces and wider key stakeholders have been engaged in related planning," Inspector Jeff McKeown said on Wednesday. “We have implemented measures to maximise the availability of resources, including a leave restriction for all police officers. This is to ensure sufficient resources are available to police the event each day, whilst ensuring we have resilience to deliver our 'business as usual' aspects of policing across the force." Insp McKeown said that significant policing operations will be in place each day at the championships. "This will involve a combination of officers and PCSOs from Harrogate district and colleagues from across the force. It will also involve a range of officers with specialist capabilities from both North Yorkshire Police and other regional forces," he said. 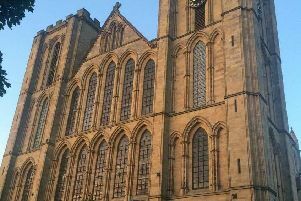 “We are also currently evaluating our resourcing requirements in Harrogate for the periods outside the event times, into the evenings and overnight." Harrogate councillors were updated on police preparation for the championships by North Yorkshire Police's inspector for Harrogate Rural, Steve Breen, at an overview and scrutiny meeting this week. During questioning, Liberal democrat leader Pat Marsh asked whether local police will receive additional support from neighbouring districts. “In terms of community policing, it's up to me me and Penny (Inspector Penny Taylor) to make the best of it," Insp Breen said. “No one's getting any leave, no one's getting any days off”. Insp Breen said that pre-emptive police work conducted so far led them to anticipate a temporary rise across all crime categories during the cycling championships. “A little bit more of everything is the general analysis,” Insp Breen said. "We're not expecting a huge rise in any one particular crime." He added that the overall rise could solely be attributed to the "huge volume of people" visiting the district. The championship will take place for nine days from September 21 to 29, with up to 250,000 fans expected to descend upon North Yorkshire to view the cycling action. Cabinet member for housing and safer communities Mike Chambers said after the meeting he was confident North Yorkshire Police would be "well able to provide the necessary policing for such an event". He added that local police had plenty of crowd management experience from co-ordinating similar events such as the Tour De France and Tour De Yorkshire. "I don't have any major concerns that North Yorkshire Police can do the job required of them and they've shown in the past that they can do it," he said.